Max Scan Area: 8.5 x 11.7"
Easily print, scan, and copy documents at home with the white PIXMA MG3020 Wireless All-in-One Inkjet Printer from Canon. Printing is of high quality with a 4800 x 600 dpi resolution and it is fast with 8.0 ipm and 4.0 ipm print speeds in black and color, respectively. Documents up to 8.5 x 14" in size can be generated, while an 8.5 x 11.7" flatbed on the unit allows for scanning and copying with an optical resolution of 1200 x 600 dpi. This printer has a Hybrid Ink System for long lasting prints and features Ethernet and USB 2.0 for connecting to a computer or home network. Additionally, it has Wi-Fi for printing over a wireless network or while using a mobile device. 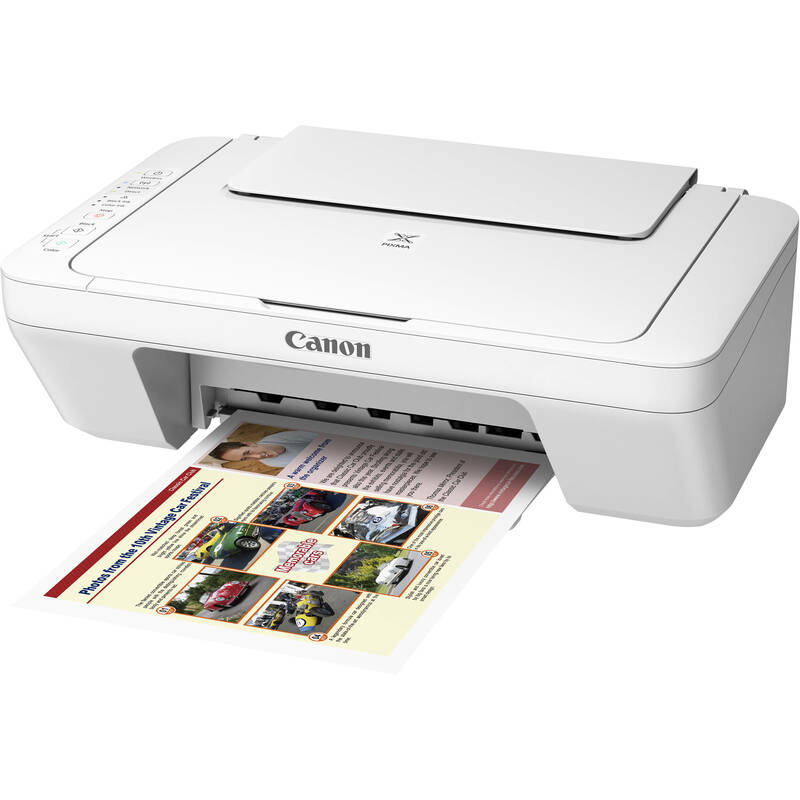 Auto Power On turns the PIXMA MG3020 Wireless All-in-One Inkjet on when it detects a print job, and it also has a quiet mode if you are printing late at night. Box Dimensions (LxWxH) 18.9 x 14.5 x 7.8"
PIXMA MG3020 Wireless All-in-One Inkjet Printer (White) is rated 5.0 out of 5 by 1. Rated 5 out of 5 by psphotography from A good basic printer. Easy to print from phones and iPad This is a very nice basic printer. I did research before purchasing so it met my expectations and the reviews were the reason I bought this printer. Mainly purchased this for my kids. We print 90% from our phones or iPads. Works very easy. Yes, a set of ink cartridges are included.